So my little one got her new bedding a couple days ago and she was so excited. She loves elephants and when I saw this set, I knew I had to get it for her. As soon as we opened it up it was on her bed and she was all giggles. She had no idea I had ordered it so it was a complete surprise! And the elephant project has begun! 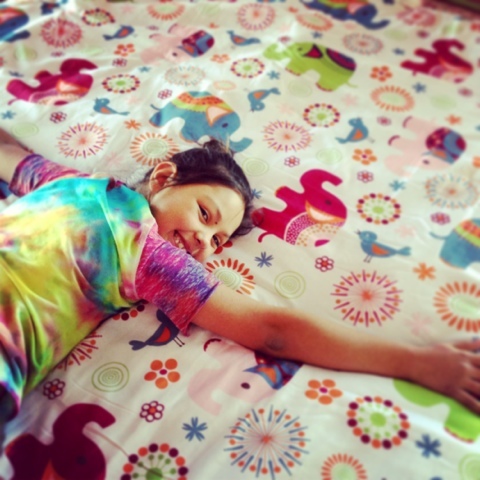 We made a template of an elephant from one of the new pillow shams and started working! I have to apologize, I don't have a pic of the template or that process, sorry. 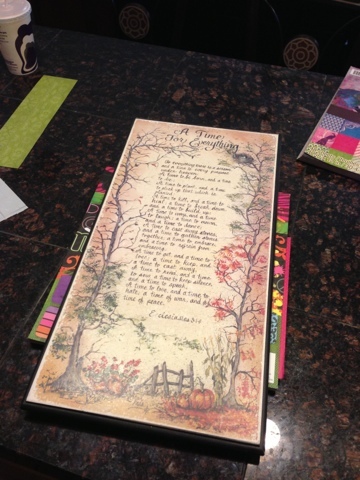 But we made the template out of card stock and traced it out on scrapbook paper. Cut a bunch of designs out and set them aside. I wasn't sure what patterns I wanted just yet. Next, I had an old sign that was damaged and decided to use it as my base. 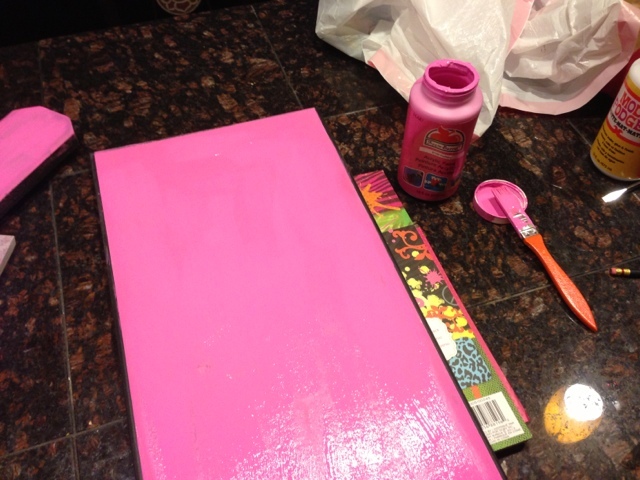 I painted it pink. It did take a few layers because of the original image, but it didn't take too long. Next, I wanted to add some sort of background to it and grabbed my stamps. 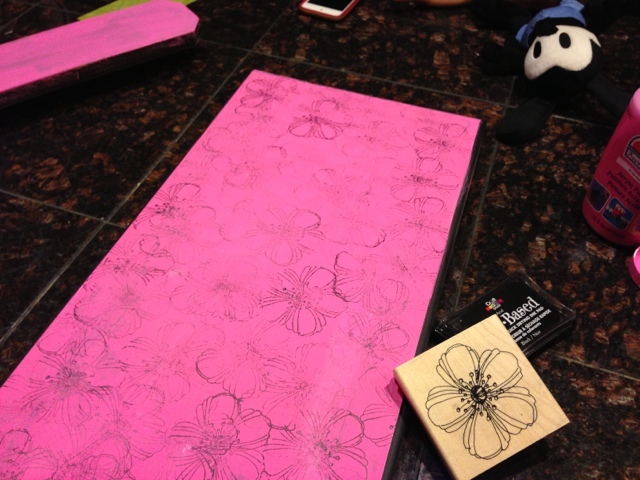 Once the paint was dry, I just used the stamp on the whole board not worrying about overlapping. I played with different patterns and these three were my favorite. 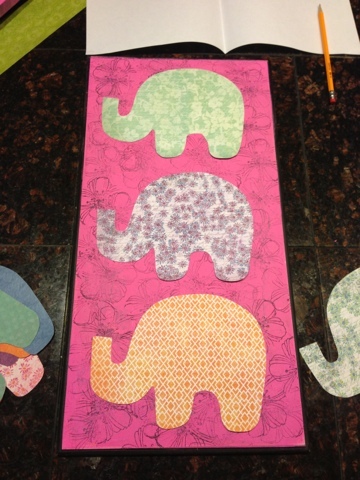 Lastly, I just used Mod Podge to seal the elephants on and to give it a nice finish. So cute! I have an elephant bedroom too. A little more "grown up" but I would have loved that bedspread and elephant art as a kid! Love it! 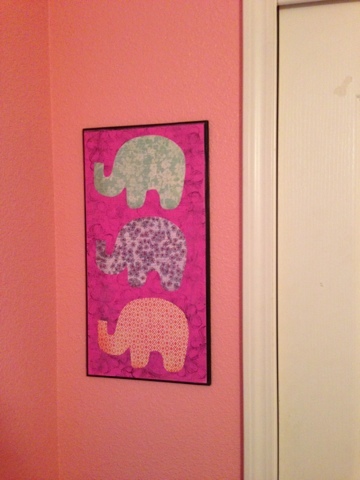 I have been looking for some elephant art for my daughter's room and this is perfect. I really like how you used a sign you already had and made it spectacular. I just *LOVE* elephants! Love it!! Too cute! 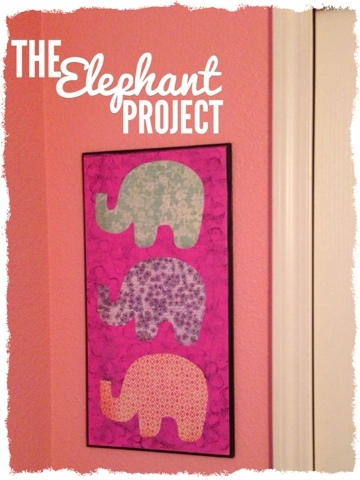 I love the elephants i wish i would have done my daughters room in elephants- I love how you re purposed on old sign to make it!